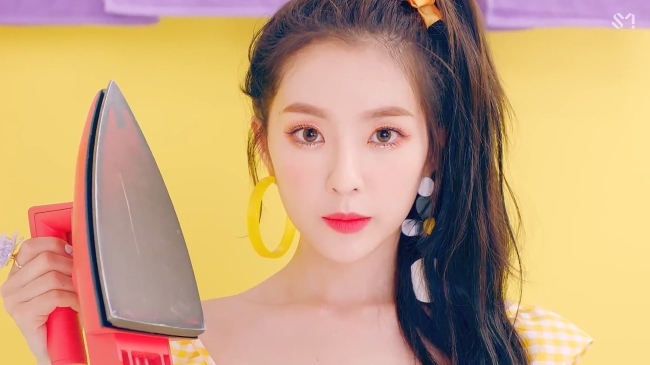 K-pop powerhouse Red Velvet is famous for its quirky and memorable music videos. While some aspects are pretty obvious, such as featuring the girls in the most stylish and savvy way possible, the videos always contain some multi-layered messages, allowing fans leeway to make various interpretations. 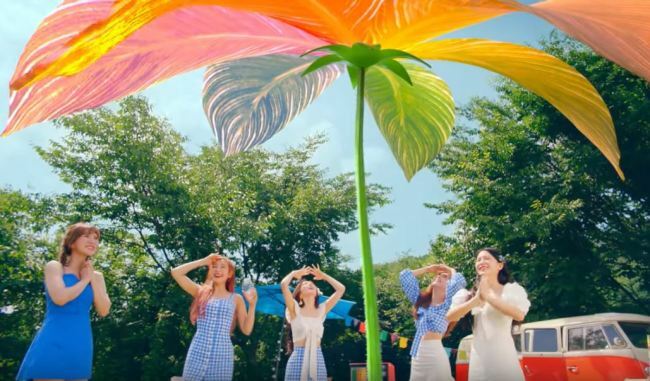 Following last year’s chart-topper “Red Flavor,” Red Velvet returned with new summer single “Power Up,” which is also rife with hidden meanings and references. Here are some crumbs that you might have missed from the “Power Up” video. 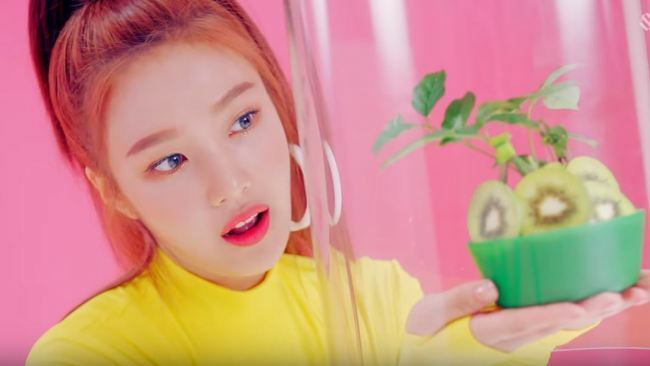 You might have noticed that many elements, such as the rainbow hued background and use of fruits, recall scenes from the “Red Flavor” video. 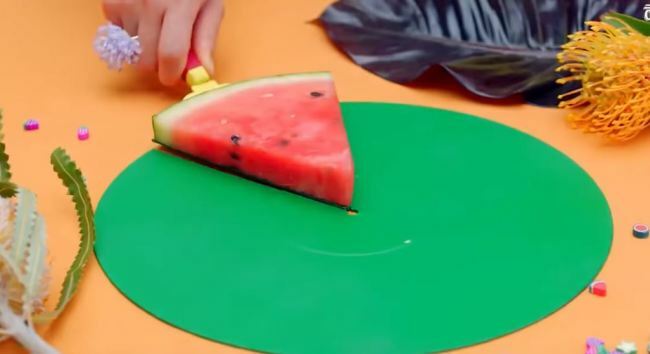 In the fruit-filled “Red Flavor” video, five different fruits were matched with each member: Irene with watermelon, Yeri with grape, Joy with kiwi, Seulgi with pineapple and Wendy with orange. The video showed personified fruits spilling about their own weaknesses during interviews. 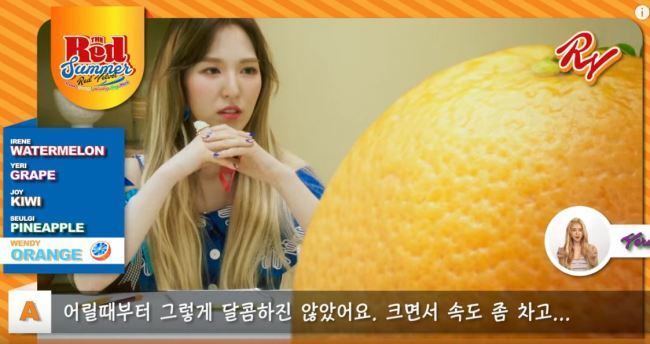 The “Power Up” video builds on that legacy by kicking off with the appearance of Seulgi’s pineapple and using the rest of the fruits to tell a story. 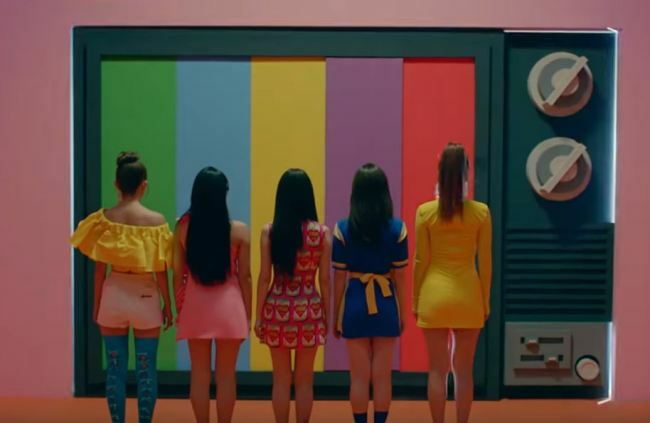 Similarly thematically inspired with “Red Flavor,” “Power Up” looks like a coming-of-age story of the act. The setting is a sweltering summer world where a house, ice cream and even metal melts in the heat. The members bring out their own fruits from “Red Flavor,” but this time, they bloom into flowers, a reference to the girls’ growth over the year. 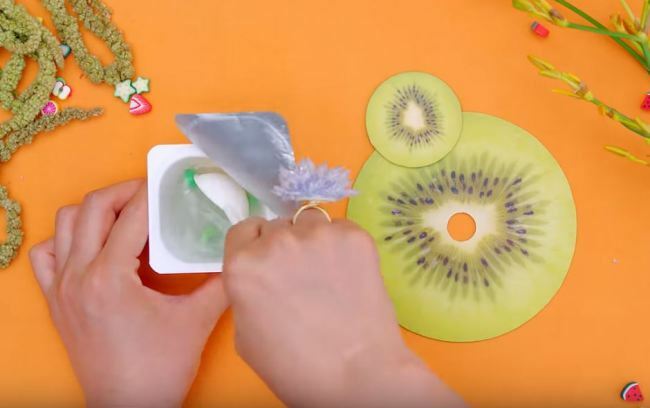 After placing them on a conveyor belt for a quality test, the girls try to make their flowers into their own CDs; Joy adds some yogurt flavor into her CD and Wendy squashes down an orange to make it as a flat CD. All set with their own albums, the girls walk out of a television, also hued with the colors of each members, to face the reality. Although looking nervous at first, they soon fill the space with their energy and happiness, which later comes to fruition in the format of juices and a huge shade that blocks out the sunlight. The message? Red Velvet’s music helps you overcome the summer heat. Do you agree? 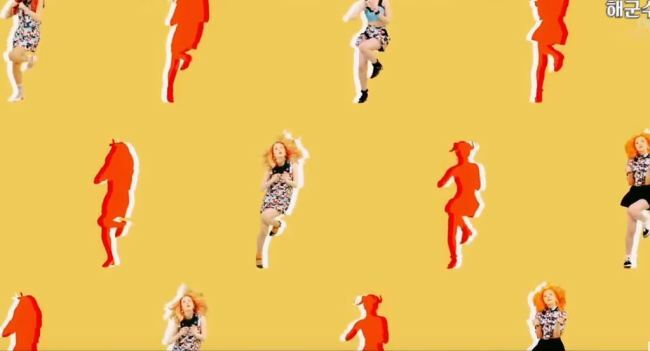 Some cute nods to the act’s previous music videos are also present. 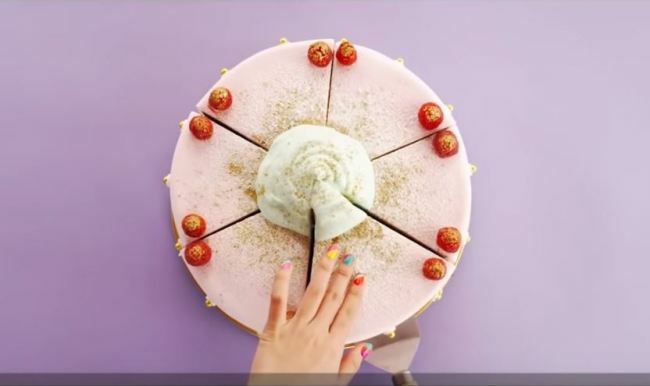 Fruits moving on a conveyor belt in “Power Up” point back to the scene in the dolls in the “Dumb Dumb” video, while a shot of someone scooping a piece of watermelon in “Power Up” is a gentle nod to the “Ice Cream Cake” video. 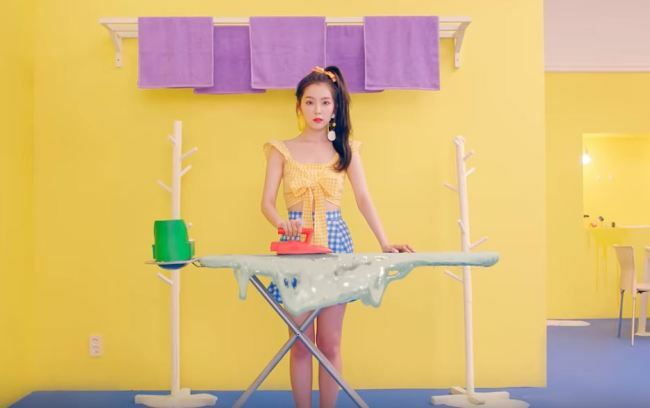 The scene where all the members except for Irene play with fruit in “Power Up” is similar to the scene from “Russian Roulette” where the members dance in miniature. What other references have you found?